The diabetes treatment reduces blood sugar levels, improving the body’s use of insulin. Reduces the amount of glucose produced by our livers and the amount absorbed through the stomach. Prevents low-density lipoproteins or ‘bad cholesterol’ from attaching to arteries and blood platelets. Don't forget to order your Vitamin B12 with Metformin, as Metformin is known to deplete your vitamin B12 level. Metformin is the diabetes treatment proven to reduce blood sugar levels improve the body’s use of insulin and be a targeted type 2 diabetes treatment. Metformin ingredients work to reduce the amount of glucose produced by our livers and the amount of glucose absorbed through the stomach. More than this, the actions of Metformin and cholesterol reduction go hand in hand – it actively prevents low-density lipoproteins or ‘bad cholesterol’ from attaching to arteries and blood platelets. Metformin ingredients are particularly effective as a type 2 diabetes treatment - the common adult onset form of diabetes. With its ability to reduce blood sugar levels, Metformin curbs the cravings for sugar, and in doing so, becomes a useful dieting aid. A valuable weapon in combating the effects of aging, metformin addresses the natural loss of glucose tolerance with age, and the linked cardiovascular diseases and the Metformin and cholesterol regulating properties make it a comprehensive wellbeing and diabetes treatment. How does Insulin help in reducing glucose in the body? Insulin is vital to reduce the amount of glucose in the blood. It’s the hormone produced by the pancreas that reduces the glucose levels produced by our liver. Insulin is also instrumental in removing glucose from the blood by muscle and fat tissues which burn glucose for energy. When this level of insulin depletes and the amount produced slows down, diabetes occurs. This is when it’s necessary to seek an effective diabetes treatment. It’s very common for people past middle age to experience a loss of glucose tolerance and the effects are significant. Unlike glucose lowering drugs which fall into the sulfonylurea class – those drugs which are specifically designed to manage type 2 diabetes - such as Glyburide (Micronase, Diabeta) or Glipizide (Glucotrol), Metformin does not increase the level of insulin in the blood and as a result, cause excessively low blood glucose levels. What’s special about the Metformin action is that it doesn’t reduce the availability of glucose in the body, and doesn’t affect the levels of insulin. It acts by making the receptors more sensitive to insulin which means available glucose is utilized more effectively. Metformin’s action also increases the sensitivity of the hypothalamus and peripheral tissues (like muscles) to the effects of insulin. In effect, it rejuvenates this response, restoring the effects of glucose and insulin to much younger physiological levels. This all means that not only do the physical properties of metformin help with diabetes, but the ability of metformin to control sugar cravings is activated. Metformin’s action also increases the sensitivity of the hypothalamus and peripheral tissues (like muscles) to the effects of insulin. In effect, it rejuvenates this response, restoring the effects of glucose and insulin to much younger physiological levels. Metformin was the first drug to be approved by the US FDA in 1994 as a blood sugar reduction treatment. Further tests reveal metformin as a versatile drug and by so effectively treating diabetes, associated conditions are likely to be reduced. Indeed Scientific tests show that using metformin reduces the complications linked to diabetes such as heart disease, blindness and kidney disease. The simple explanation is that Metformin protects your body by lowering cholesterol and preventing low-density lipoproteins – ‘bad cholesterol’ - from attaching to blood platelets and arteries. The lower cholesterol level can be achieved and a reduction in the risk of blood clotting. Tests in 2002 suggest that it also acts as an antioxidant. By stabilizing sugar levels, undertaking a Metformin diet is potent in curbing cravings for sugary food – especially useful in weight control and encouraging a healthy attitude to eating. Diabetes is believed by many gerontologists (who study aging) to be an example of accelerated or premature aging. Addressing age-related diabetes and the prevention of sugar cravings, together with improved body composition, insulin use and the stabilization of sugar levels, can only help to promote increased longevity. What are the ingredients in metformin? Primarily, it contains metformin hydrochloride – the chemical that actively decreases the liver’s production of glucose. It also includes magnesium stearate, emulsifiers and delayed release agents - these all help bind the properties of the treatment, make it easy to swallow and release the ingredients at the right time in the right amounts. A regular dosage of Metformin for people over 40 years of age is 500mg to 850mg up to three times a day. The best diet for metformin – as with every supplement and for a sound overall health plan – is varied and balanced: plenty of fruit and vegetables and low to moderate amounts of foods high in fat and sugar. The effect of metformin on low sugar diets is that it helps control cravings for foods high in carbohydrate and sugar, so it’s actively recommended in this case. Metformin also has the ability to help avoid a blood clot, possessing properties that help avoid a hardening of the arteries that can in turn lead to a heart attack. 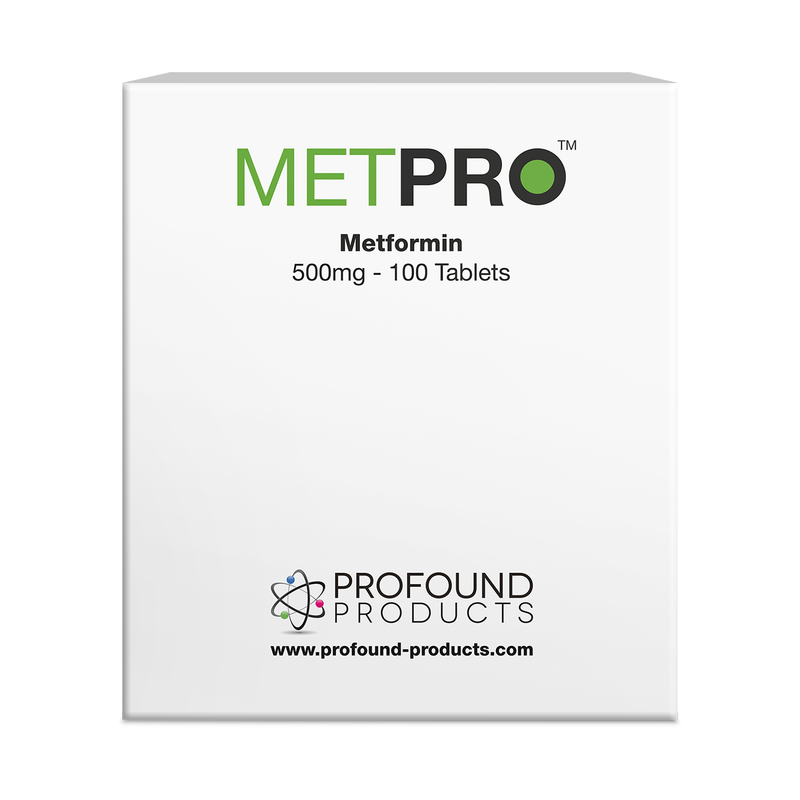 Metformin (also sometimes referred to in the generic glucophage) produces minimal side effects (which is amply supported in testimonial) and is a proven type 2 diabetes treatment, with the added ability to lower cholesterol. There are very few contraindications but very rarely, lactic acidosis can occur in diabetics, and taking metfomin in this case has been known to cause panic attacks. In those suffering with a hypothyroid condition, metformin can help alleviate symptoms. In whichever case it’s always advisable to ask your doctor before embarking on any course of medication. Metformin SR / XR tablets are now also available. These slow release tablets act over a longer period of time, helping to keep insulin levels stable for longer periods and therefore can also, in some, cases allow for less frequent dosing. It’s known that many drugs can have effects on vitamins and other nutritional pathways within the body, although nutritional support programs hardly practised by physicians! The ‘Drug nutrition depletion handbook’ is a great source of information to inform patients on what nutrition should be being taken with any particular medicine regime. In relation to metformin, it is known to disrupt the vitamin B12 pathway in the body, therefore it is a sensible precaution to ensure that you are taking a good B12 supplement when using metformin. We recommend Vitamin B12 in combination with Metformin use. Metformin’s power to help lower glucose levels produced by the liver and absorbed from food is key to improving the level of insulin in the body. With balanced insulin levels, the ability to lower cholesterol and the reduction of cravings for fatty foods all mean that metformin becomes a very potent long-term health supplement indeed. Since weight training does rely on blood glucose for sustained workouts, would metformin negatively impact the duration of the workout by reducing the available glucose used for energy? Metformin does not reduce the availability of glucose, nor does it directly affect its levels, nor the levels of insulin. It acts by making the receptors more sensitive to insulin which means that glucose levels are better utilised. You may like to read Dr. Dean’s article for further information. I am considering adding metformin to my anti-aging program, and I would like some more information on it before I start putting it into my body. I’m excited about the possibility that it activates the same gene expression as CR, but most important to me is long term safety. I understand metformin has a 40 year track record – so there must be significant data regarding the safety of long term usage. I understand that metformin has to be detoxified by the liver. What tests should I have done and which parameters should I pay attention to for my liver function before and during using metformin? Please advise as I’m looking for information but can’t find any good sources. For those over 40 years of age, one 500mg to 850mg once, twice or three times a day. Consult your physician if you are a diabetic, have any liver or kidney problems or have ever suffered from lactic acidosis. Stop use if you feel unwell. Rare in healthy aging individuals, but may include nausea, loss of appetite and very rarely, vomiting, stomach pain and diarrhea. Patients with diabetes type I and II sometimes take doses as high as 3 grams a day, in which case side effects may include hypoglycemia or lactic acidosis. Metformin can inhibit the uptake of vitamin B12, so a B12 supplement is recommend whilst using Metformin. Metformin may be synergistic with Acarbose and Aminoguanidine. Use of Metformin is contraindicated when combined with Thiazide, Cimetidine, diuretics or other anti-hypertensive products, which could cause renal malfunctioning. It is also contraindicated in individuals with ketonuria, serious hepatic and renal disorders, serious cardiovascular problems, serious respiratory problems, suprarenal insufficiency, chronic alcoholism, serious dystrophic illness, acute hemorrhaging, gangrene, diabetes with previous episodes of lactic acidosis or hypersensitivity to Metformin. What a super diet aid Metformin has proven to be. MetPro helps to balance blood sugar levels and reduces the craving for sugar and combats issues regarding age-related insulin / glucose intolerance. As directed by your physician, a typical dose is 1 tablet with each of the three main meals. Treatment usually begins at the lowest possible dosage (1 or 2 tablets per day), progressively increasing the dosage as necessary. The dosage should not surpass 3 grams of metformin per day. We recommend supplementing with vitamin B12 whilst using metformin. Keep out of reach of children. Protect from heat, light and moisture. Not for use by pregnant or lactating women. Do not use after the expiration date. Always follow the advice of your health professional. Are allergic to metformin hydrochloride or to any of the ingredients in it. Have ketone bodies or sugar in your urine, (this may mean you have ketoacidosis) or diabetic precoma. Suffer from severe hepatic impairment. Suffer from severe renal impairment or conditions that could alter its functioning, such as dehydration, severe infection, shock, or are undergoing intravenous administration of iodinated contrast agents. Suffer from an acute or chronic disease such as: cardiac or respiratory failure, recent myocardial infarction and shock. If you present symptoms such as: lack of appetite, abdominal pain, nausea and vomiting. These could be caused by the presence of a disease called lactic acidosis. If you suffer from any of these symptoms, consult your physician at once. He or she will tell you to have regular hepatic and renal function tests and blood analysis during treatment. If you have renal problems, your physician will recommend renal function tests several times yearly, and annually if it is in normal condition. If you are going to be treated with an iodinated contrast agent, since this will mean you will have to discontinue treatment with Met-Pro 48 hours prior to this contrast. If you are planning to undergo surgery, since treatment must be discontinued 48 hours previously. As with any treatment for diabetes, your blood glucose levels may be too low if you decrease your food intake and do not follow a regular meal timetable. Do not skip a single meal. If you are overweight, and follow a low-calorie diet. If your physician prescribes you insulin or sulphonylureas as well as Met-Pro, your blood glucose level is likely to decrease. Met-Pro should be taken with or immediately after meals, so as to reduce its gastrointestinal side effects. Never take it with alcohol. Consult your physician or pharmacist before taking Met-Pro. Inform your physician if you are pregnant or are planning to become pregnant. In this case, your physician will indicate the adequate treatment for you. Consult your physician or pharmacist before taking Met-Pro. Breast-feeding is contraindicated while taking Met-Pro. Treatment with Met-Pro as a single medication, (monotherapy) does not cause any lowering of blood glucose levels (hypoglycemia) and so does not affect your capacity to drive or operate machinery. Nonetheless, patients who take metformin in combination with other medications for lowering blood glucose (e.g. sulphonylureas, insulin, replaglinide) may present hypoglycemia and hence should be particularly cautious when driving or operating dangerous machinery. Your physician will adjust your dosage of Met-Pro, in accordance with your renal functioning, which must be monitored regularly. Do not administer Met-Pro to children. Alcohol and medications that contain alcohol: Concomitant use with Met-Pro may produce lactic acidosis. Iodinated contrast agents: Concomitant use of substances employed for establishing diagnoses with Met-Pro may alter your renal function. Glucocorticoids (intravenous, intramuscular and external administration): Concomitant use of medications employed as immune-suppressants and anti-inflammatories with Met-Pro may increase glucose in the blood (hyperglycemia). Beta-2 agonists: Concomitant use with Met-Pro may increase the amount of glucose in the blood. Diuretics: Concomitant use of medications that increase the amount of urine with Met-Pro may increase glucose in the blood. Concomitant use of medications to reduce high blood pressure belonging to the ACE (angiotensin-converting enzyme) inhibitor group and Met-Pro may decrease glucose levels in the blood. Anti-inflammatory agents for pain relief called NSAIDS (non-steroidal anti-inflammatory drugs) and Met-Pro may alter your renal function. This product and its statements have not been evaluated by the FDA.